Betty Ehrenborg-Posse is known for translating English-language revivalist songs and of pedagogic songs of profane content. Betty Ehrenborg-Posse was born at the Råbäck property in Medelplana in 1818. She was baptised as Katarina Elisabet but was always known as Betty. Her mother,  (Fredrika Ehrenborg) came from simple petit-bourgeois origins, lost her parents when she was young, and – as she herself pointed out – was inexperienced and uneducated when she met the man she went on to marry. She was, however, intelligent and hungry for knowledge and later became known as an author. Betty Ehrenborg-Posse’s father, Casper Isaac Michael, was of ancient noble Jutland origins. He was a vice-governor and a newly appointed parliamentary ombudsman when he died suddenly, aged 45. After her husband’s burial in Stockholm Fredrika Ehrenborg and her children returned to her husband’s only property, Råbäck, near Kinnekulle in Västergötland. This remained the family home for the following seven years. Betty Ehrenborg-Posse was only five years old when her father died. She was a sensitive child and was deeply impacted by this loss. She was similarly affected when the family moved from her beloved childhood home of Råbäck seven years later. Once her mother had recovered from the shock of her loss and mourning, she became particularly concerned with providing her children with a good and appropriate upbringing. Just like her youngest brother Richard, Betty Ehrenborg-Posse and her two older sisters were given an intellectually-focused upbringing. It was only natural that their mother’s own adherence to Swedenborg and Mesmer was somewhat reflected in her children’s upbringing given that she, in part, served as their teacher. After the family had moved to their second property of Kråk beside Vättern near Karlsborg, where they fell under the influence of Ernst Kjellander, a young philosopher, Betty Ehrenborg-Posse decided to adopt the traditional Lutheran faith. Thus she and her siblings clearly distanced themselves from their mother’s faith in Swedenborg. This inevitably led to tensions in family relations. Betty Ehrenborg-Posse, like her mother, was of a distinctly pedagogic bent for which she found an early release by teaching poor peasant children – this kind of teaching was something both she and her mother had a fondness for. Betty Ehrenborg-Posse also began to write from an early point. By 1841 she had already published her first unpretentious poetry collection, Små fåglar från Kinnekulle. When her brother Richard enrolled as a student at Uppsala in 1842 Fredrika Ehrenborg and Betty Ehrenborg-Posse (the last of her children who still lived at home) moved to Uppsala with him. The reason behind the move was that university studies might facilitate Richard’s chances of gaining an official career. During the winters of 1842-1846 in Uppsala Betty Ehrenborg-Posse and her mother were active members of learned society in the town, where romanticism was in vogue. They participated in  (Malla Silverstolpe)’s salons and evening gatherings with public readings, alternately hosted by the Geijer, Atterbom, and Schröder families as well as themselves. The two fearlessly knowledge-seeking ladies caused great consternation by regularly attending Geijer’s and Atterbom’s university lectures. It would be another 40 years before the first woman was allowed to sit a university exam in Sweden. At that point both Fredrika Ehrenborg and Betty Ehrenborg-Posse were already long gone, albeit they had left their mark on posterity within both the spheres of pedagogy and literature. Following on from her time in Uppsala Betty Ehrenborg-Posse began to work for Count Gustaf and his wife Eva Lewenhaupt, both as a teacher and as a companion. She spent the winter of 1846-1847 at Hällefors manor in Västmanland and the following winter she was in Stockholm. Betty Ehrenborg-Posse taught the younger children in the family French, piano, history, geography, arithmetic, Biblical history, and hymns, whilst the older children were also taught English. She put her broad general education to great use. Betty Ehrenborg-Posse’s time with the Lewenhaupt family led to a spiritual awakening for her, particularly during the second winter. That was when one of the girls in the family was preparing to be confirmed in the church and was receiving religious instruction a home from Gustaf Janzon, a priest from Stockholm. Janzon’s targeted confirmation classes were also attended by the adults in the family. Betty Ehrenborg-Posse herself described the turning-point that this turned out to be for them all: “the arrival of spring also brought a spiritual spring for us all”, she wrote. Betty Ehrenborg-Posse, along with the Lewenhaupt couple, also attended evangelical conventicles in Stockholm that winter where they found like-minded people. She certainly did not become a spiritual follower of the revivalist C.O. Rosenius as she was too critical of what she viewed as his narrow-minded preaching. Her broader theological references came from the conservative Schartauan high Lutheran church in Lund which she had contact with through her sister and her sister’s husband, E.G. Bring. She was also influenced by the priest and missionary Peter Fjellstedt’s sermons. She herself gradually became widely read through her translations from English and German, and not just within the evangelical revivalist movement. In 1852 and in 1854 major editions were released, initially Andeliga sånger för barn which was intended for use both in public schools and in Sunday schools. Then Pilgrimssånger was released, in two parts, one in 1859 and the other in 1862. The latter collection comprised a real breakthrough for English-language revivalist songs in Sweden. These volumes also included newly composed songs, some of them by Betty Ehrenborg-Posse and  (Lina Sandell). The Lewenhaupt couple had become aware of a Christian welfare institution which had emerged in Strasbourg in Germany. Like the Lewenhaupts, Betty Ehrenborg-Posse became convinced that something similar should be established in Sweden. In 1849 an association was set up in order to prepare a Christian welfare institution in Stockholm. (Fredrika Bremer) had also just published a book on her impressions of Fliedner Christian welfare institution which she had visited in Marienberg and Kaiserwerth. The Swedish Christian welfare ideal was then formed as a vocation for unmarried Christian women which came to comprise both charitable and pedagogical duties. The Stockholm Christian welfare institute became in reality a pioneering centre for young Christian women’s training. During the years of 1852-1872 it came to comprise a female teachers’ programme on which Betty Ehrenborg-Posse sometimes taught from its inception. From 1851 onwards Betty Ehrenborg-Posse mainly lived in Stockholm. There she began teaching what eventually became the first church-run Sunday school in Sweden. She also developed – partly in collaboration with Mathilda Foy – a method of setting out texts at preliminary gatherings for Sunday-school teachers, who would subsequently present the texts to their Sunday-school classes. The Sunday-school teacher classes Betty Ehrenborg-Posse ran were pioneering in their nature in Sweden. It was during a study trip she took to England with her mother that she became acquainted with both normal school work and Sunday-school work. It is worth noting that Betty Ehrenborg-Posse, who had previously often suffered from anxiety, was stimulated by her spiritual breakthrough and its associated experiences. During her study trip she became positively influenced by English activism. Her own many-sided, flourishing activities as a publisher, pedagogue and translator quickly came to leave notable traces on spiritual life in Sweden, particularly through the Rosenian revivalist movement and Rosenius’ journal, Pietisten, where much of her creative force was channelled. The new perspective generated perspectives on forgiveness, atonement, and redemption as palpable in several of the hymns and songs which Betty Ehrenborg-Posse began to write and translate. Her former uncertainty and fear of not being up to scratch was replaced by a sense of evangelical security. Betty Ehrenborg-Posse’s contributions to the corpus of profane Swedish songs include various songs which incorporate movement, such as ‘Blink lilla stjärna där’ (‘Twinkle, twinkle little star’) and other easily understood and playful songs containing pedagogical content, such as ‘Här är vårt öra, vi fått för att höra’ and the mnemonic song about the seasons, ‘Januari börjar året, februari kommer näst’. 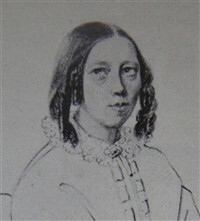 In 1856 Betty Ehrenborg-Posse married Baron Johan August Posse af Säby. The couple had three children together. The eldest of these was August Mikael, who trained to be a missionary but died of tuberculosis before he could take up his mission. Their two daughters, Anna Elisabet and Hedvig Amalia, both trained to become deaconesses. In 1887 Hedvig was sent abroad as the Swedish church missionary to South Africa, whilst Anna remained a deaconess in Sweden. Betty Ehrenborg-Posse died in Södertälje in 1880. Her double-barrelled surname of Ehrenborg-Posse is a posthumous reconstruction that is often used now but was never in use during her lifetime. She always signed her name B E-g until she got married, after which she simply signed as B. Posse. Catharina Elisabet (Betty) Ehrenborg-Posse, www.skbl.se/sv/artikel/BettyEhrenborgPosse, Svenskt kvinnobiografiskt lexikon (article by Ruth Franzén), retrieved 2019-04-22.